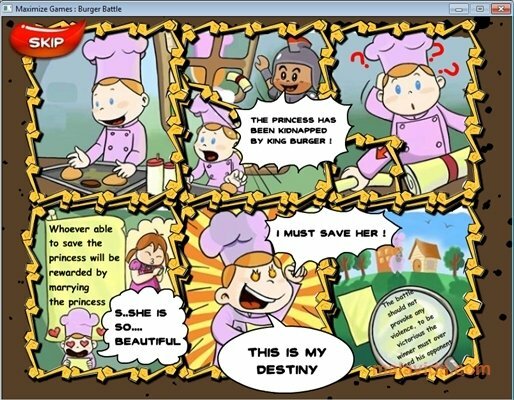 Burger Battle is an entertaining video game in which you will have to save the princess that has been kidnapped by King Burger. 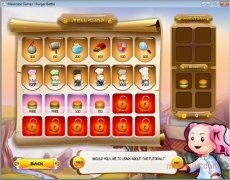 Your weapons will be delicious hamburgers that you will have to prepare and throw at your enemy to defeat him, stuffing him with food. Depending on the ingredients that you use, they will be more damaging and you will be able to defeat you opponent a lot quicker. To prepare the hamburgers you will have to gather the proper ingredients. You will see a grid in which you will have to join ingredients in groups of four or more, of the same color. 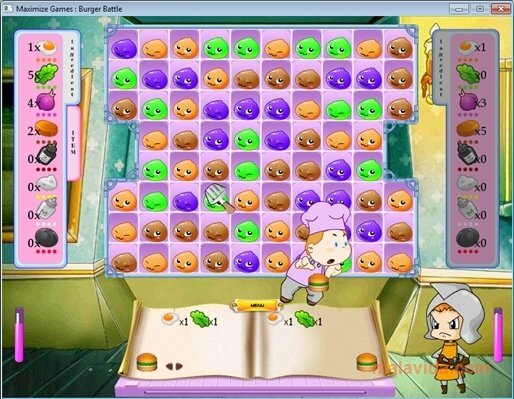 Each time the drawing of the ingredient takes color, it will be added to the hamburger, and when the hamburger has color, you will be able to throw it at your opponent to diminish his strength. 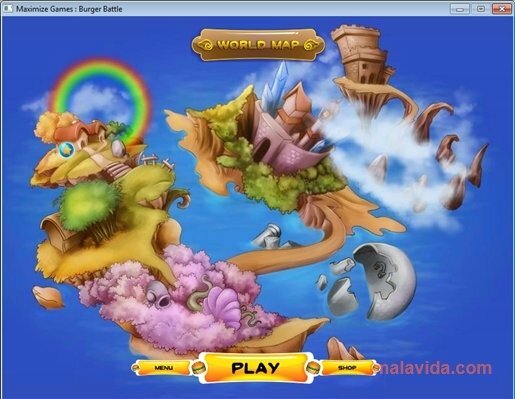 The first one that manages to eliminate his enemies health wins the game. 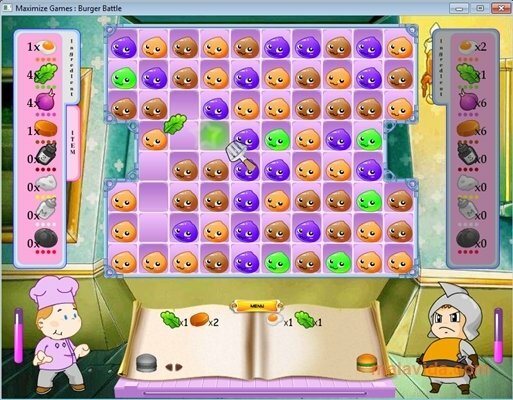 Burger Battle will manage to hook you to this great adventure to rescue the princess. As you advanced, you will discover that some ingredients are more damaging than others, and you hamburgers will improve. 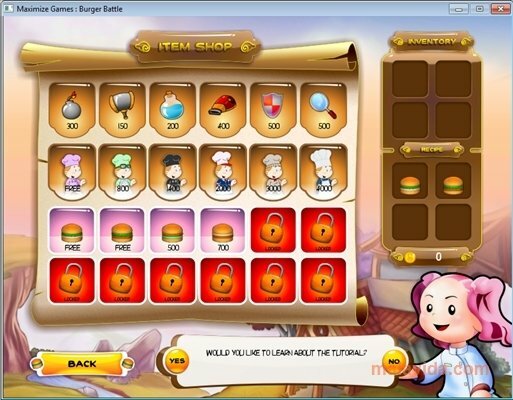 Make sure you don't get bored thanks to the entertainment offered by Burger Battle. 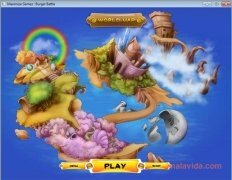 The demo can be played for 60 minutes.